Aspergers101 Mission Statement: We strive to empower and educate individuals with High-Functioning Autism and Asperger’s, their advocates and the community so that we can provide optimum support and expanding opportunities for lifelong growth and fulfillment. The primary purpose of Aspergers101 is to educate about Asperger Syndrome and High-Functioning Autism. We provide an online learning platform, offer presentations in schools and organizations, produce videos and present film-screenings to raise awareness and advocate for policy changes to empower people with autism and AS working toward greater independence. When parents and educators don’t know where to turn, Aspergers101 aims to provide them with the best information and resources available. Our award-winning website, www.Aspergers101.org, features daily articles in the areas of Medical, Education, Family, Employment, Social Development and Adulthood. Doctors, therapists, educators, and specialists provide down-to-earth, accessible articles to help parents, families, and the autism community better understand medications, training, diagnosis, therapies and services, and to make educational choices that suit their individual child from K-12 to higher education and beyond. Additionally, short videos offer insights and much needed information into daily living with Aspergers Syndrome. Featured experts include Dr. Temple Grandin, Dr. Tony Attwood, Behavioral Therapist Billy Edwards and Author Jennifer McIlwee Myers. 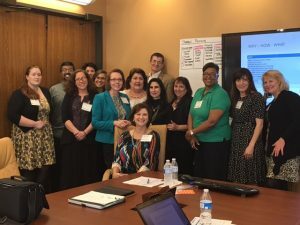 Although the organization received 501c3 nonprofit designation in 2014, Aspergers101 has been operating as a volunteer-based organization since 2013. Disorders, 5th Edition (DSM-V) that was released in 2013. Since then, Asperger Syndrome is captured under the broad term Autism Spectrum Disorder (ASD). The content of our site remains current and relevant for those that either retain the Asperger Syndrome or High-Functioning Autism diagnosis. 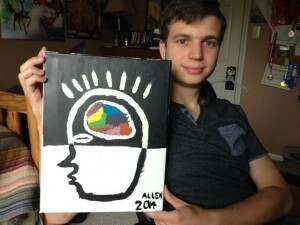 Samuel Allen paints his depiction of How it Feels to have Autism. This became our logo! Navigate Life Texas – Jennifer Allen’s “Aspergers 101”: Sometimes the Best Things Really Are Free! Some people don’t pick up on social cues, which can lead to tragedy. We’ll meet a mother who’s changing how Texas police interact with autistic kids like her own. After an extensive career broadcast marketing, Jennifer and her husband searched for answers when their oldest son hit the kinder years with great difficultly. After finally learning that their oldest son had Aspergers Syndrome, she left her career in television and became a full time mother to both of her sons. Jennifer elicited the participation of her sons and together they produced several independent programs including a children’s animated series titled Ameriquest Kids (now distributed by Landmark Media) as well as her documentary titled, Coping to Excelling: Solutions for school-age children diagnosed with High-Functioning Autism or Aspergers Syndrome. 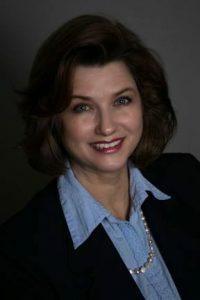 Under the Aspergers101 umbrella, Jennifer created and spearheaded the “Driving with Autism” state-wide initiative from the fear of her own son driving. Working with the Texas Department of Public Safety, Jennifer forged new paths for people on the spectrum by establishing and marketing the driver license restriction code: Communication Impediment with a Peace Officer. 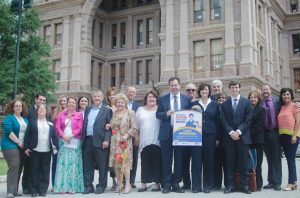 She has partnered with the Texas DMV and DPS (along with the endorsement of the Texas Governors Committee on People with Disabilities) in introducing a new Bill to the 2019 Legislative Session that would place Communication Impediment in the TLETS thus notifying an officer of Autism prior to approaching the vehicle. Jennifer and her son Sam are currently training Texas Law Enforcement Agencies on Autism/Aspergers and what it might look like in a pull-over. Disclaimer: Aspergers101 does not and shall not discriminate on the basis of race, color, religion (creed), gender, gender expression, age, national origin (ancestry), disability, marital status, sexual orientation, or military status, in any of its activities or operations. These activities include, but are not limited to, hiring and firing of staff, selection of volunteers and vendors, and provision of services. We are committed to providing an inclusive and welcoming environment for all members of our staff, clients, volunteers, subcontractors, vendors, and clients. Aspergers101 is an equal opportunity employer. We will not discriminate and will take affirmative action measures to ensure against discrimination in employment, recruitment, advertisements for employment, compensation, termination, upgrading, promotions, and other conditions of employment against any employee or job applicant on the bases of race, color, gender, national origin, age, religion, creed, disability, veteran’s status, sexual orientation, gender identity or gender expression.